Eine Rarität aus dem modernen Antiquariat. 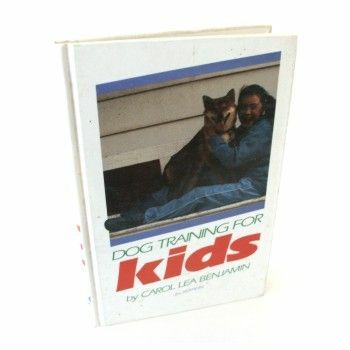 This new and expanded edition of Dog Training for Kids gives youngsters the skills they need to make better citizens of their canine companions, while strengthening that all-important human/animal bond. This "home study course" is based on the ability of the child to teach a dog basic obedience as well as some captivating tricks, without having to depend on parental help or expensive equipment. There are beautifully detailed and humorously illustrated instructions on Heeling, Sit Stay, Stand Stay, Down Stay and Come When Called. Counseling is given on seven common but persistent problems; Jumping Up On People, Chewing, Biting, Excessive Barking, Stealing Food and Problem Housebreaking. On the recreational side, there are descriptions of some wonderful tricks which all youngsters can teach their dogs. For those who feel that a future career in dogs would be satisfying and rewarding, Ms. Benjamin presents an overview of eight occupations to jog the reader's interest.